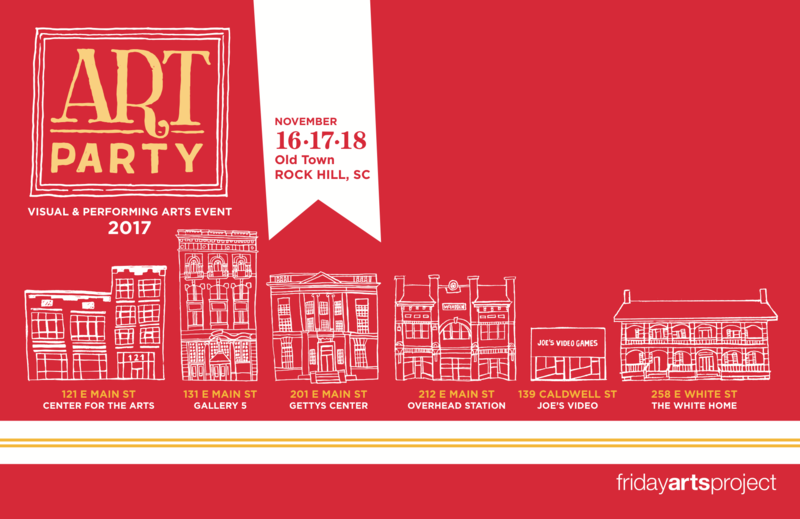 Artist Studio & Gallery Registration | ART PARTY! 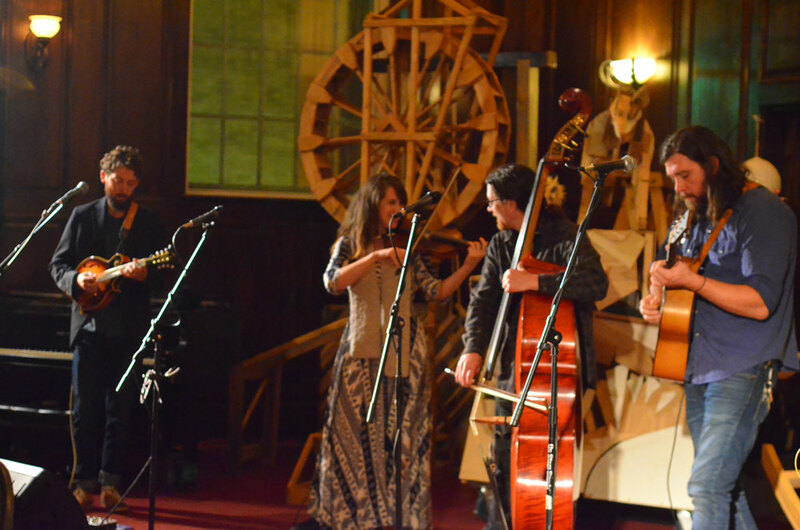 Old Town continues to be a place where great art is created. People should come to see and purchase some of these wonderful works of art to own or gift. 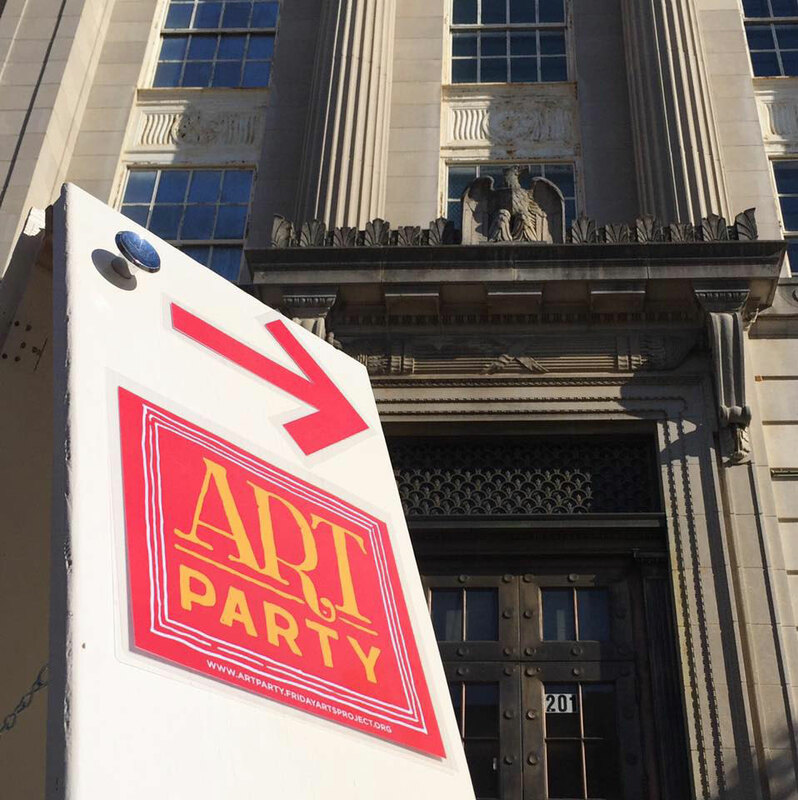 With that in mind, we are hosting—Art Party—for a 3rd year. 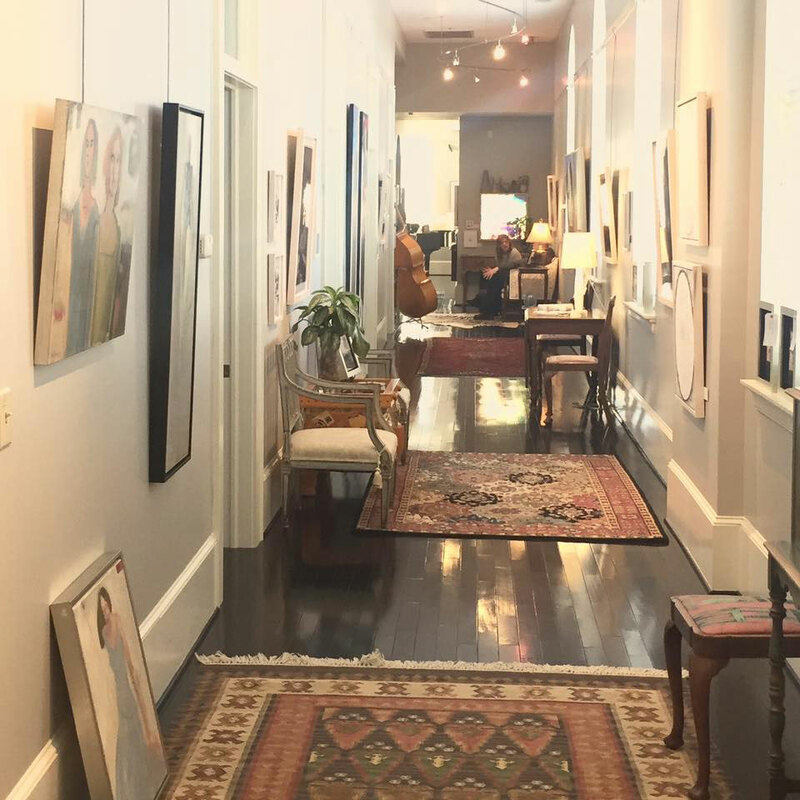 An integral part of this event is the Studio & Gallery Stroll—designed to highlight Artist’s Studios & Galleries in the old town area. 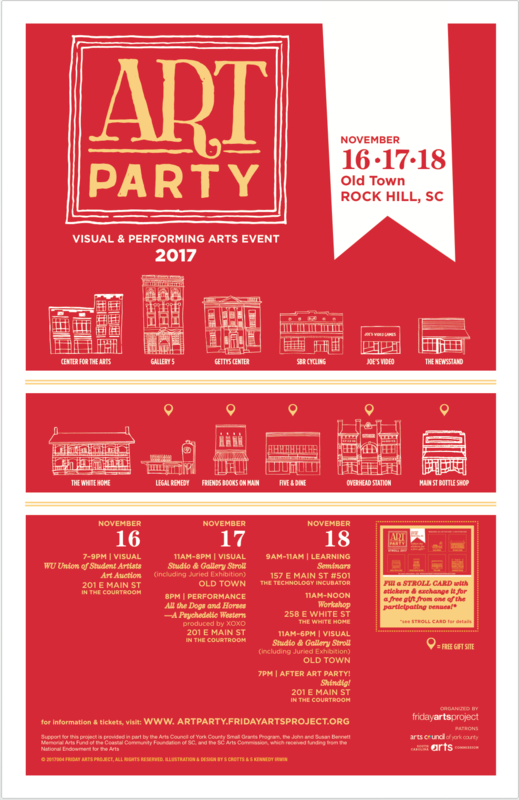 Gallery owners or Artists who have studios in Old Town Rock Hill are invited to register to be included in this year’s Art Party Studio & Gallery Stroll. Please endeavor to have someone at your Studio/Gallery during the Studio & Gallery Stroll. 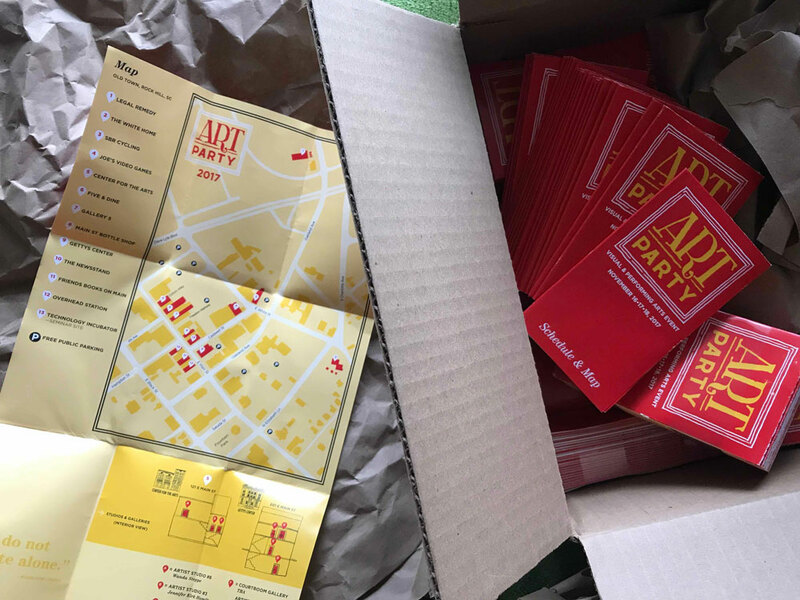 The $25 registration fee will help cover design & printing costs for postcards, Stroll cards, maps (of the studios, galleries & venues participating) as well as directional signage outside and inside of buildings. See photos from last year's Art Party (at right) to see examples of some of these items. You will have a page on our Art Party website with an image representative of your work—chosen from the images you send to register your studio/gallery. 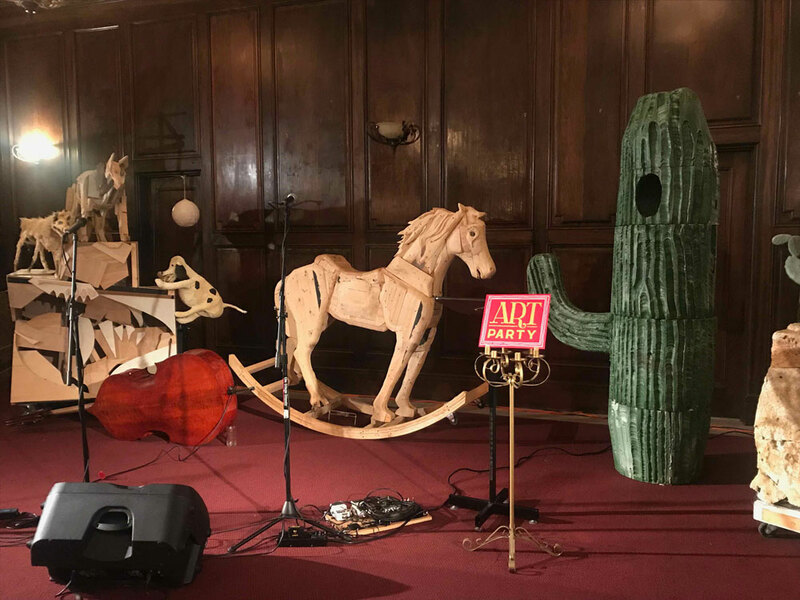 Friday Arts Project will forward an email invitation for Art Party 2018 to your email inbox once it is ready. Please distribute to your own patron email list & social media contacts. Digital ads will be purchased through various avenues (Facebook, Instagram, etc) approx. 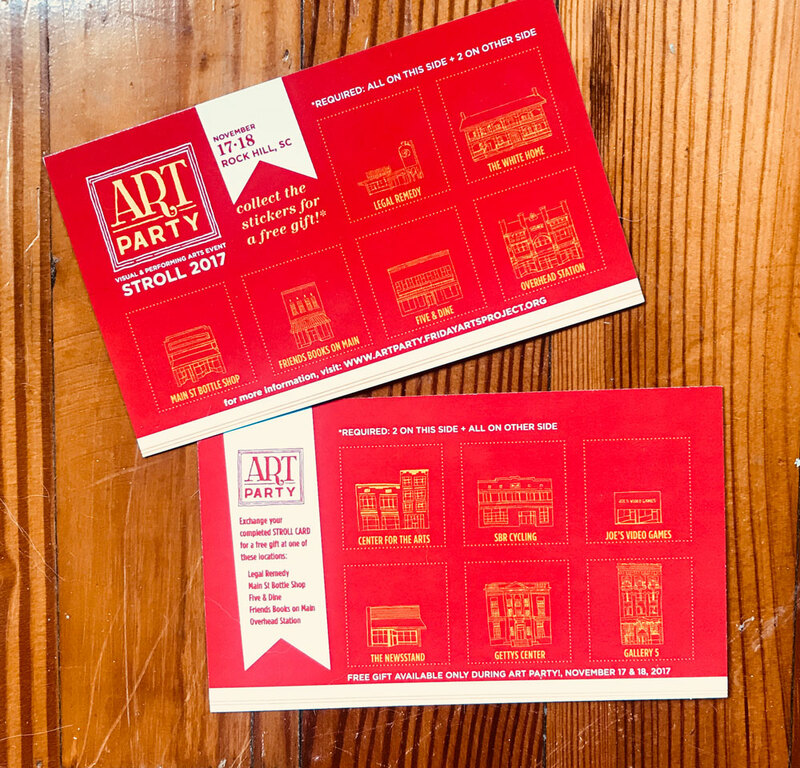 a week or more before Art Party 2018 to promote the various events including the Studio & Gallery Stroll. Posters will be hung at various places throughout Old Town approx. 2 weeks prior to the event. Directional Signage will be in place during the times of the various events. 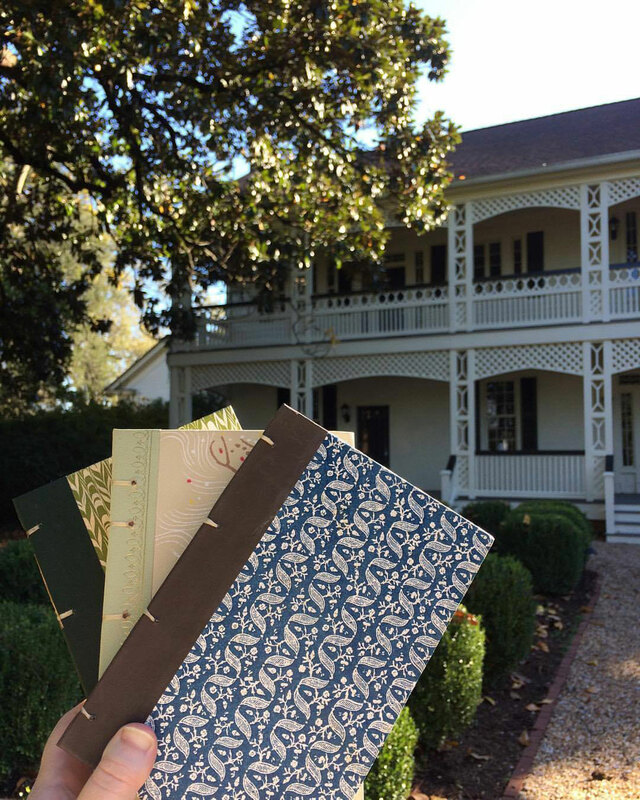 20 postcards to "snail-mail" or hand out at your discretion. 10 Stroll Cards to be given to guests to complete on their stroll. a sheet of stickers of your building to apply to the stroll cards for your guests throughout the Studio & Gallery Stroll. 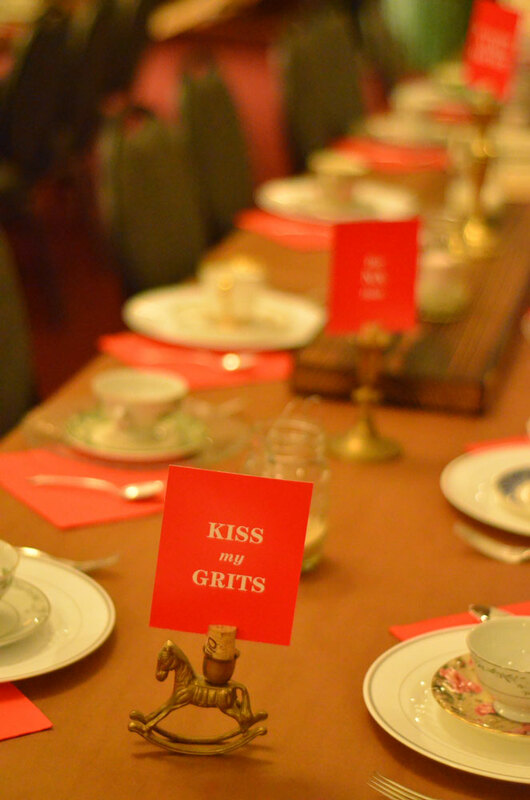 The Stroll Cards are designed to invite Art Party visitors to drop by as many studios and venues as possible - they were a huge hit last year!